Regular readers of this blog know that I have a flock of chickens that not only provide eggs but also help out in the garden. For example, in the spring I let them out to weed fallow areas and to dig up grubs and other underground garden pests before I plant. I’ve had hens for eighteen years and in that time have become very familiar with their behaviors, habits and even personalities. Yes, chickens have individual personalities that become easy to spot once you get to know them. Through the years I’ve read a lot of articles and books about chickens, so good and some not so good. Most I read or skim and never go back to them again. Recently, a book from New Zealand caught my eye, “Cluck A book of happiness for chicken lovers” edited by Freya Haanen. 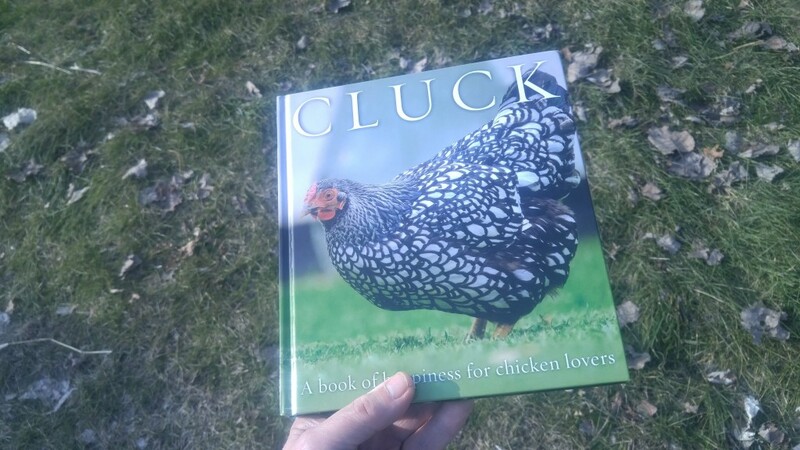 “Cluck” is the perfect gift item for the chicken enthusiast who has everything. It’s loaded with charming photographs of chickens in their natural habitat, which is just about everywhere and anywhere. What tickles me is how she was able to capture those chicken personalities perfectly through her selection of photographs. The book also contains memorable quotes about chickens from philosophers, poets, scholars and great thinkers throughout history. Some serious, some amusing and some just leave you scratching your head. This is not the type of book filled with facts, figures and how-to’s. It’s one that you keep around the house and keep coming back to. Folks who long for a flock of hens of their own but can’t swing it right now, for what ever reason, will love it. Our panel discussion addressed hypothetical questions of how would we survive a catastrophic event and the chaos that would follow. On our panel was Micha, a sportsman who was an expert hunter and fisherman; Chase, a young, decorated war veteran who gave his thoughts on self-defense; Mark Hammond, our director of emergency management representing the government’s point of view; my wife Judy — who is a retired horticulturist from Matthaei Botanical Garden– and myself shared our opinions on growing and preserving food. What are three things that you should do right now to prepare for a disaster? There are many possibilities but our government official suggested we look at the FEMA website to get started. Even if a major cataclysm never occurs during our lifetime, gardening is still a healthy, enjoyable, productive hobby. There is not much to do in the garden this time of year. That means I have some time to catch up on my reading. It still gets dark early so I don’t feel guilty sitting inside reading during the evening. When spring arrives, I’ll be spending all of the daylight hours outside in the garden. The book I’m currently working on is called “The Education of a Gardener” by Russel Page first published in England in 1962. And when I say “working on”, that’s exactly what I mean. This 5″ x 8″ book has 363 pages of dense writing printed in a small font with just a few black and white photos. Page’s descriptions of his landscape and garden projects paint detailed pictures in your mind. I’m not necessarily a poetic kind of guy but this is exactly how it is written. Just about every sentence adds another piece to the puzzle, which is why it is taking me so long to read it — I’m only about a third of the way through. He also lists plant species for each project. Many of them I know, but others I have to look up. It is quite a contrast to all of the colorful picture books that are being published these days. 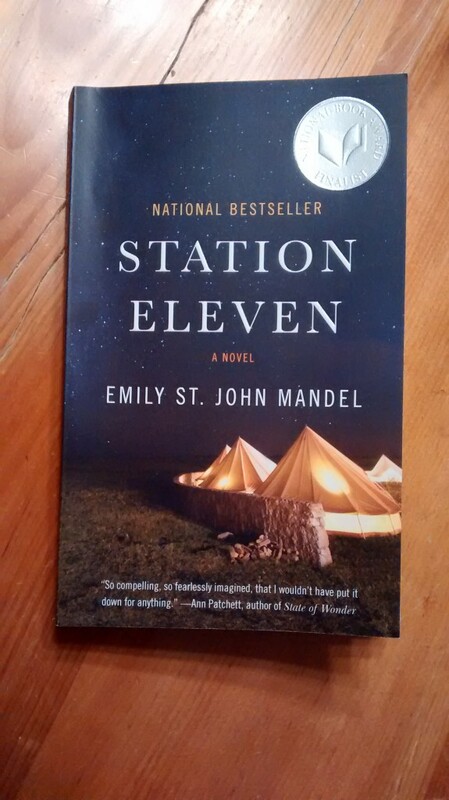 I have my daughter Robin to thank for this reading project — she gave it to me as a birthday present. My plan is to keep reading at the same pace and not try to rush through it.